This Serta loveseat will fit in any kind of decor. 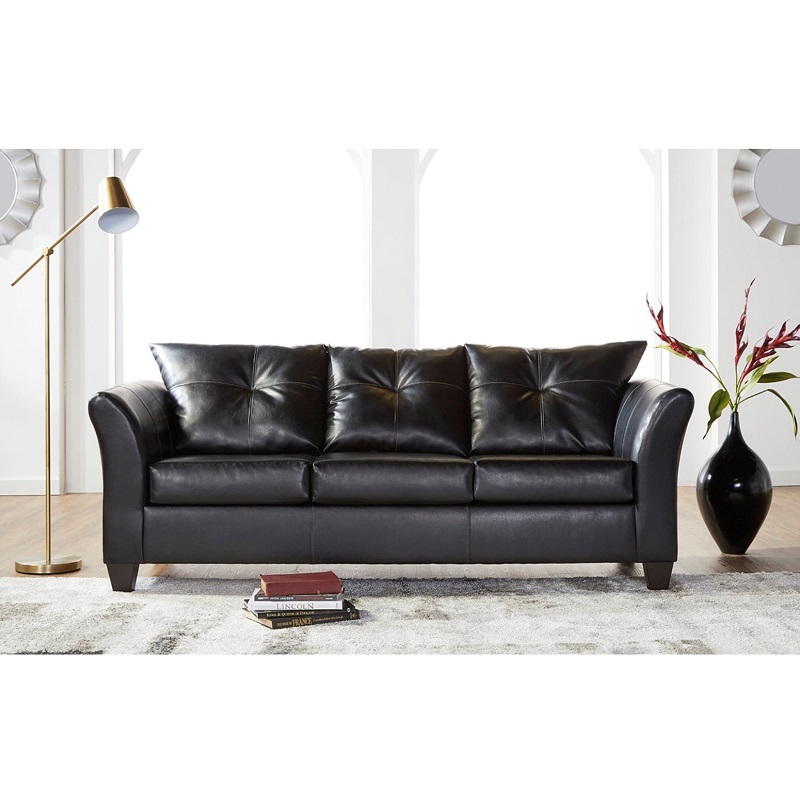 It features flared, tapered arms, padded, button tufted back pillows, box style seat cushions, straight front border and wooden, tapered feet. Available in black or chocolate. Matching sofa is pictured.